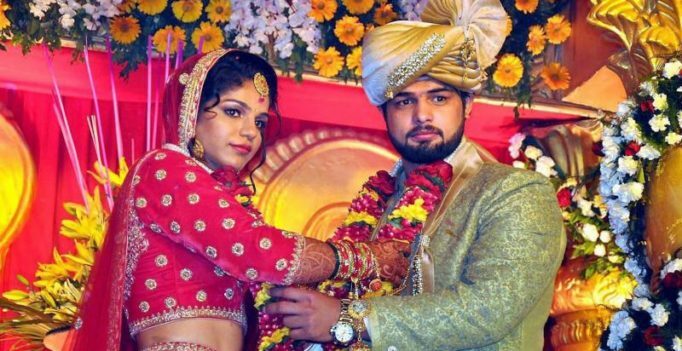 Rohtak (Haryana): Rio Olympics bronze medallist wrestler Sakshi Malik has got married to grappler Satyawart Kadian in a grand wedding ceremony in her hometown here. 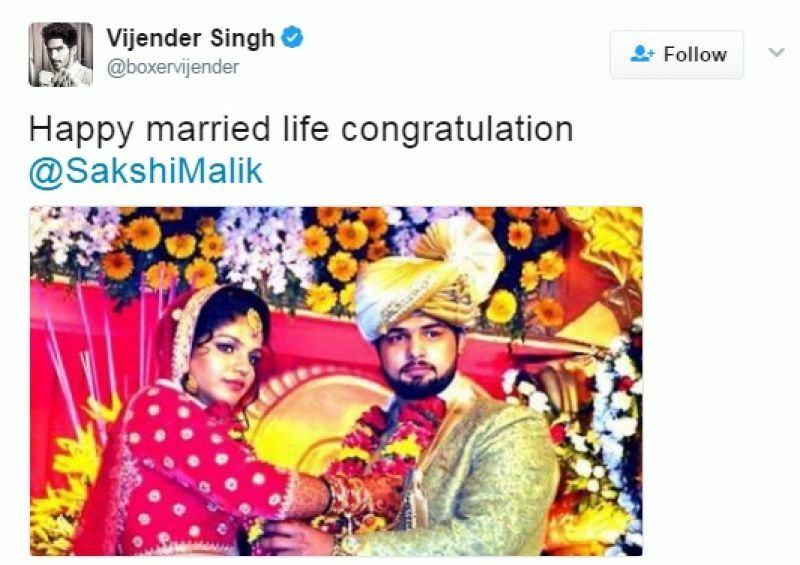 The marriage ceremony was held last evening and was attended by two-time Olympic medallist Sushil Kumar, former Haryana Chief Minister Bhupinder Singh Hooda and senior Indian National Lok Dal leader Abhay Singh Chautala, among others. Sakshi (24) and Kadian (23) had got engaged in October last year, two months after she won the Olympic medal. Sakshi had ended India’s painful wait for a medal at the Rio Olympic Games last year by clinching the bronze in the 58kg category, pulling off a sensational 8-5 victory over Aisuluu Tynybekova in the play-off bout. Kadian won a bronze medal at the 2010 Youth Olympics and clinched silver at the 2014 Commonwealth Games. Many sports personalities took to Twitter to congratulate Sakshi. Among those to congratulate her included cricketer Virender Sehwag, boxer Vijender Singh, gymnast Dipa Karmakar, shuttler Saina Nehwal and para athlete Deepa Malik.